‘Tweet’ is a short post on the social networking site, Twitter. Twitter is an online social networking and microblogging website. It allows users to send ‘tweets.’ Tweets are short messages of 140 characters or less. Your followers can then read those tweets on their timeline. Tweets are similar to uploading statuses on Facebook. People who are not registered users can still view the tweets. However, only registered users can tweet, favorite, retweet, follow or be followed. The original definition of the term ‘tweet’ is a ‘chirping sound of a bird.’ The developers believed that this and the term ‘twitter’, meaning 'a short burst of inconsequential information,' and 'chirps from birds', were perfect for the site. Twitter was launched in July 2006 by Jack Dorsey, Evan Williams, Biz Stone and Noah Glass. The site has rapidly grown since then. 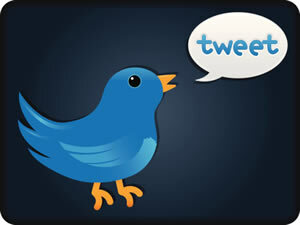 In 2012, Twitter had 500 million registered users who posted approximately 340 million tweets per day. As of 2013, Twitter is one of the top ten most visited websites on the internet.